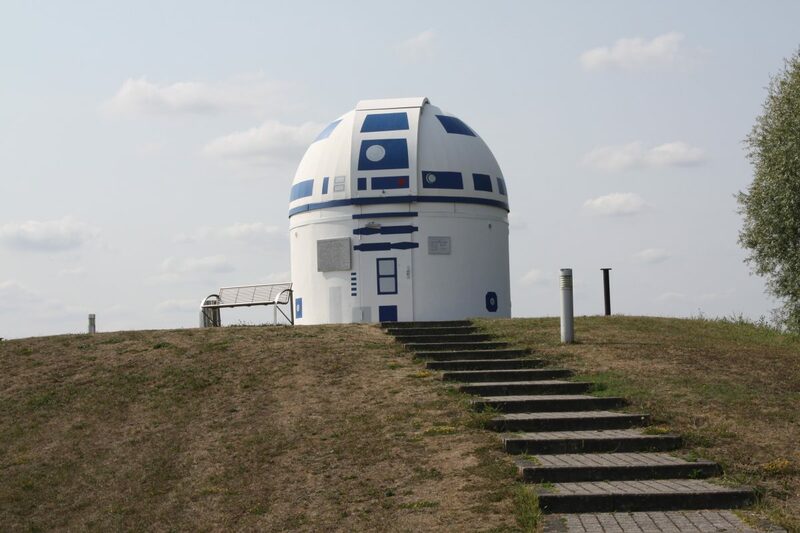 Star Wars fans have painted a multi-million pound observatory white and blue – to look like R2-D2. 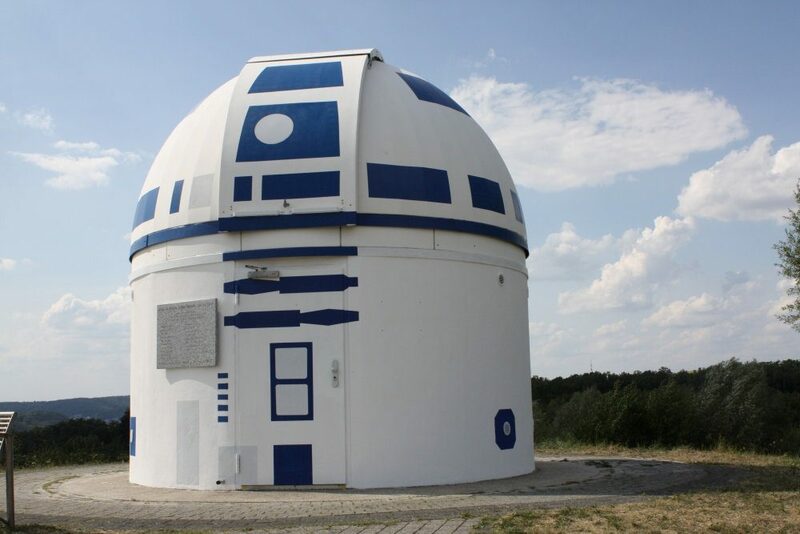 Professor Hubert Zitt, an avid lover of sci-fi, shunned other characters like Chewbacca and instead insisted they paint the Zweibrücken Observatory to look like a giant R2-D2. Prof Zitt has worked for the Zweibrücken University of Applied Sciences, in Zweibrücken, Germany for 24 years where he lectures on the philosophy of Star Wars. He was inspired to paint the observatory which he thought the dome looked like the beloved Star Wars droid. Prof Zitt said: “I am a big Star Wars and Star Trek fan and I give lectures about the physics of Star Trek and the philosophy of Star Wars. “I like the old 70s Star Wars films the most – I prefer the originals to the modern movies because I saw them when I was a child. “I saw all the fantastic pictures and stories and it inspired me a lot when I was a child. 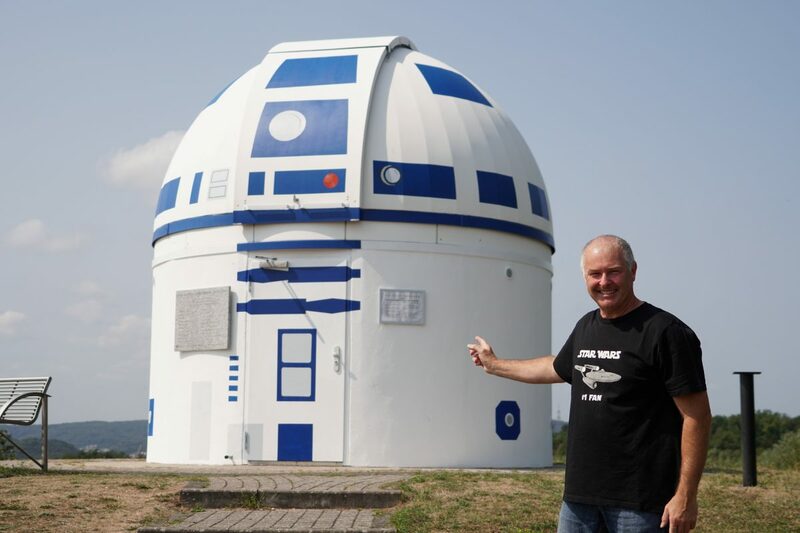 Prof Zitt and a small team of students cleaned the observatory before applying a white undercoat and painting the blue and white R2-D2 design. The technical computer science professor delivers up to 40 lectures on Star Wars and Star Trek throughout Germany every year and has travelled as far as Texas to give presentations. The sci-fi expert began teaching at the German university since 1995. He said: “In Germany, we have something called a Christmas lecture which is the last lecture of the year where we include something special. “So I came up with the idea to talk about the science of tablets, turbo lift, beaming, speech recognition and computers in the last lecture of 1996. Proff Zitt has reached global recognition for his Star Wars and Star Trek expertise but he began his career in electrotechnology. The professor received his doctorate in electrical engineering from the University of Saarland after studying at the University of Applied Sciences where he is now a tenured professor in the field. Observatories are used by scientists to observe the stars and celestial events, and most often house powerful telescopes.